Whoever likes wood will be satisfied with Joseph Parr's range of external hardwood doors. This is a beautiful range of external doors from market leader XL Joinery, which will give an outstanding look to your front door. Our hardwood doors come in all styles to suit everyone's taste. Choose from contemporary linear lines to more traditional styles with heavy raised mouldings for a more homely look. You can even choose the glass within the door: clear, obscure or decorative. 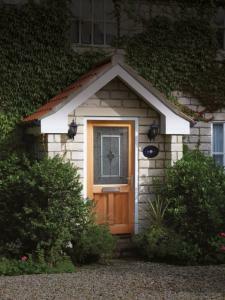 External hardwood doors are safe value and cost-effective. Our external hardwood doors are built using traditional methods that ensures they will look just as good in years to come. Capable of facing weather conditions, it's highly resitant. The pro? It's solely made of A-grade timber, the finest quality timber. Just like our range of internal wooden doors, our external doors comply with our sustainable policy as the material come only from well-managed forests.